to the Same Enviro Grass / Tree / Weed Pollens, Dust Mites and Molds that Us Humans Suffer From. 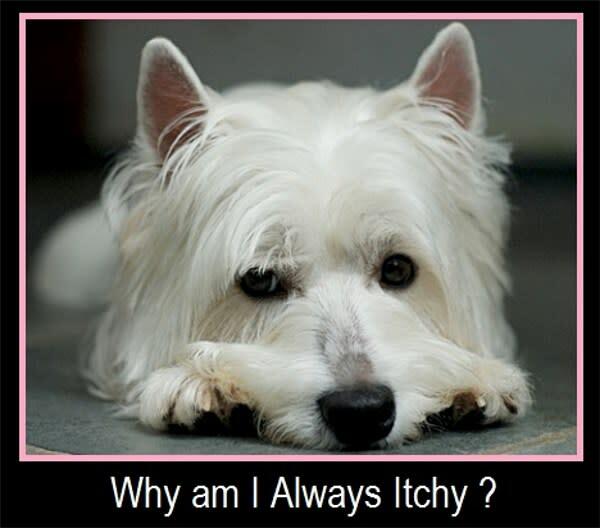 While Us Humans manifest our Allergies ala Respiratory, with our Dogs, it is all about the Itchy Skin. Excessive Itching / Paw Chewing / Gunky Ears / Hot Spots / Yeast & Bacteria Skin Issues. manifesting in Anxiety / Heightened Aggression and/or Attention Deficiencies. Responding to this Challenge, Healthy GOO has Formulated CBD – GOO CHILL. Allergy is 24 / 7 / 365 / a Lifetime – Cumulative, Progressive, Chronic Disease. A Mis-Wiring in the Animal’s Immune System ReActing to Enviro Sources. as well as Endless Time & $$ Visits to your DVM. suffer from Allergy to Enviro Sources Vs Food Allergy of 5%. 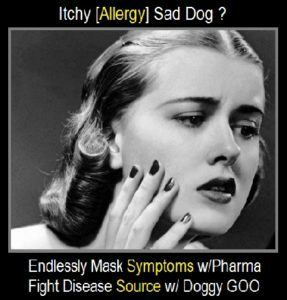 Mirroring Us Humans :), approximately 15-20% of our Canine Friends suffer from Allergies. The % Incidence of Allergy is Greater in Breeds that are Genetically Pre-Disposed. Genetically Pre-Disposed Canine Breeds to Allergy – Retrievers / Beagles / Terriers / Brachy / GSD. 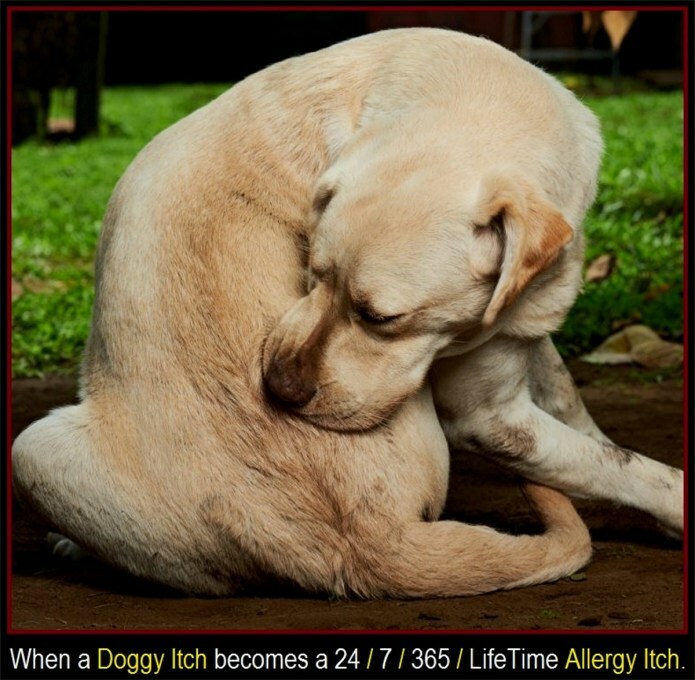 Causes of Canine Allergy & Itch. Flea = Itchy Yes, but in Today’s Modern Society with extensive OTC Flea Products, Flea Itch is Held in Check / Minimal. make “Short Work” of Skin Mites. Food Allergy = Is Not Likely an Allergy, but likely a Food InTolerance. PreDominately manifested ala G.I. Issues. 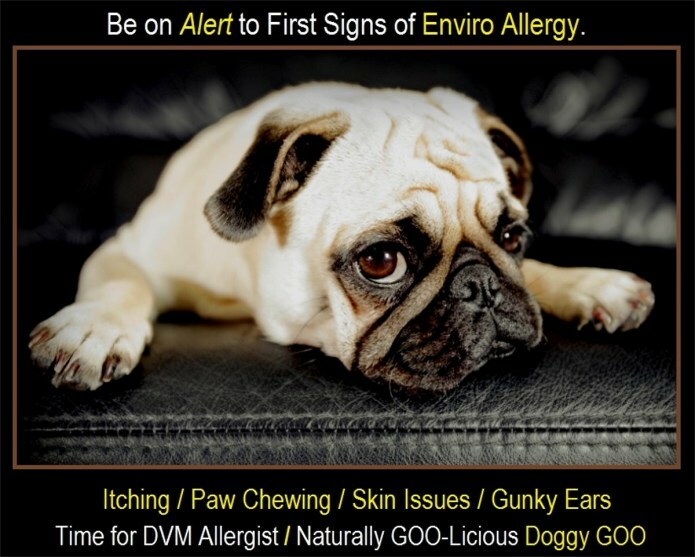 While many Pet Parents move their Animal’s to Special Diets with the Hope / Belief / Instruction that their Animal’s Itching is “Food Allergy Driven”, DVM Dermatology Research indicates that only 5%-8% of our Canine Allergy Population have True Medically Defined Allergies to Food. 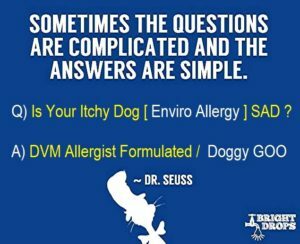 Still further, DVM Dermatologists / Allergists remind Pet Parents that an Elimination Diet is the Only Method scientifically proven to determine Food Allergy. However, when an Animal is displaying Food Finicky-ness / Stool or G.I. Issues, these Symptoms may simply be caused by a Daily Diet of the Same / Repetitive Food ( usually of Inferior Quality ), which over time prompts the Animal’s G.I. System to be “Bored” with “The Same Old / Same Old Food” and kicks up a Food Finicky / G.I. Fuss. But if a Diet UpGrade does not resolve these Food / G.I. Issues, Healthy GOO feels that it is possible that the Animal’s Food Issues may be caused by a GUT-Biome that has been Thrown Out of Good Bug into Bad Bug Balance by past Health Issues, which are often accompanied by Heavy Pharma and/or Antibiotic Consumption. 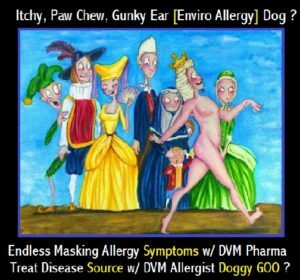 That when an Animal’s “GOOD Bugs” have been Decimated by Pharma / Antibiotics, the GUT-Biome is now Bad Bug Dominated and Food Proteins of normal everyday Dog Food can be Provocative and cause Health / Stool / G.I. Disruption. It is in such cases, where an Animal’s GUT-Biome needs a little Good Bug Help or is Bad Bug Dominated, that it needs to be “Rescued”. 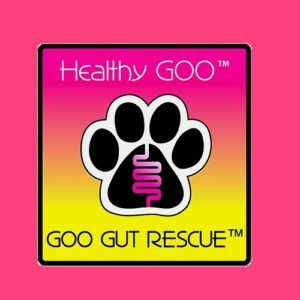 Responding to this Challenge, Healthy GOO has enlisted the expertise of a DVM with Special Expertise in Direct Feed Microbials to Formulate GOO Gut Rescue. Environmental Sources = Allergy Itchy ! Grass, Tree, Weed Pollens / Dust Mites / Molds – Oh My ! 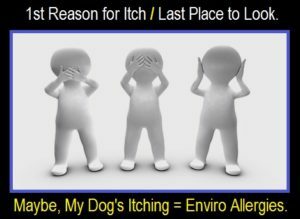 Research indicates that 75+% of our Itchy Allergy Dogs suffer from Allergy to Environmental Sources ! 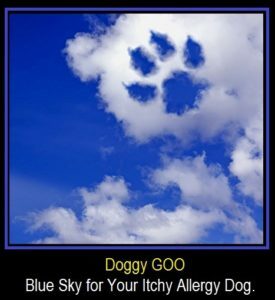 Human Allergy = Respiratory / Achoo – Canine Allergy = Skin / Itch ! EveryDay, your Dog is exposed to a limitless number of Environmental Elements, which may or may not be harmful to their Health. It is up to your Pet’s Immune System to sort out the Harmless from the Harmful and to know when to pass on the Harmless, and go into Protective Action / Defense against what it deems as Harmful. It is this ongoing Struggle which demands that the Health of your Dog’s Immune System be Correctly Calibrated and in Tip-Top Shape. How ? / Why ? The Acquired Tier of the Immune System works in sequence with the Innate Tier and basically handles what gets past this First Line of Innate Immune defense. The Acquired Tier has the ability to not only Recognize, Attack, and Destroy harmful transgressors, but it also has the unique ability to Remember. It is this Memory characteristic, which allows your Acquired Tier to not only Recognize and Respond Quickly to similar Future Attackers, but also to create and present the most Effective Method for their Destruction (i.e. Antibodies). Unfortunately, sometimes the Acquired Tier of the Immune System is Genetically Mis-Wired in its Determination of Harmless from Harmful and identifies Harmless Environmental Elements as Harmful. Upon Exposure to these Harmless Enviro Sources, the Immune System triggers the classic Recognize, Attack and Destroy Immunological Response. It is this MisGuided or Out-of-Balance Immune System Response, which often externally manifests in Dogs in the form of constant Itching, Biting, Scratching, Hot Spots, and Infections of the Skin and Ears. 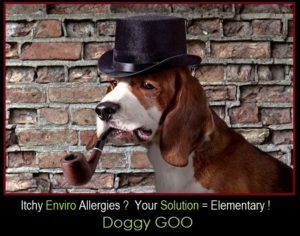 Recognizing and Understanding the Dynamics of the Mis-Guided Immunological Response, and Wishing to Address and Correct this Imbalance, Healthy GOO ™ has drawn from the Medical Field of Veterinary Allergist / Dermatology to Formulate it’s Premier Product called Doggy GOO ™. 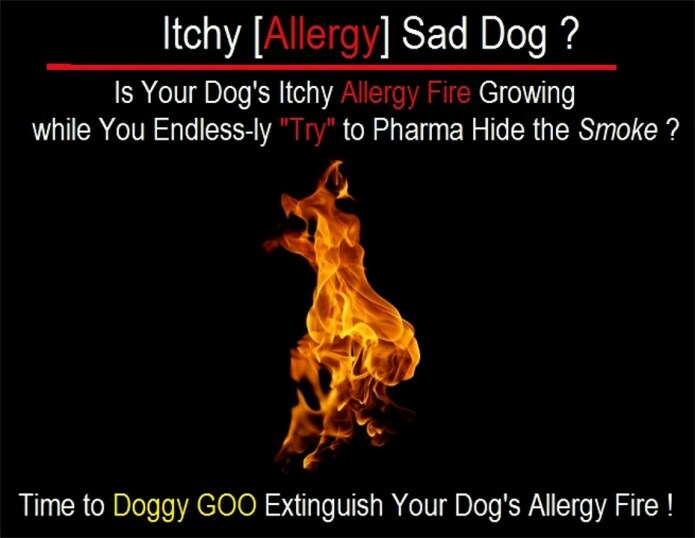 But do not be Fooled by Doggy GOO’s Cute & Playful name. 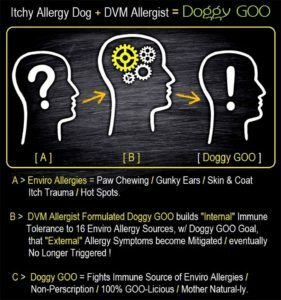 Please be assured that Doggy GOO is All DVM Allergist / Dermatologist Business when it comes to Targeting / Fighting the “Source” of Allergy Disease from the Immune System InSide > Out ! (dare we say 🙂 ) are eventually No Longer Triggered ! Through this Small, but daily repeated Exposure to these Environmental Elements, a Naturally induced, Broad-Based Level of Immune System Tolerance is, over time Supported, allowing the Natural, adaptive Nature of your Pet’s Immune to turn your Dog’s Environment from UnFriendly to No Itch / Tail Wagging Friendly!